The Martin M170 80/20 Bronze Acoustic Strings 010-047 consist of Extra Light gauge 10-14-23-30-39-47. Martin & Co's Traditional flagship line are favoured for their reliability and excellent clarity. The 80/20 Bronze Acoustic Guitar Strings are manufactured to the highest quality, with a tin plated steel core wire and bronze wrap wire, providing exceptional performance and a clear acoustic tone. 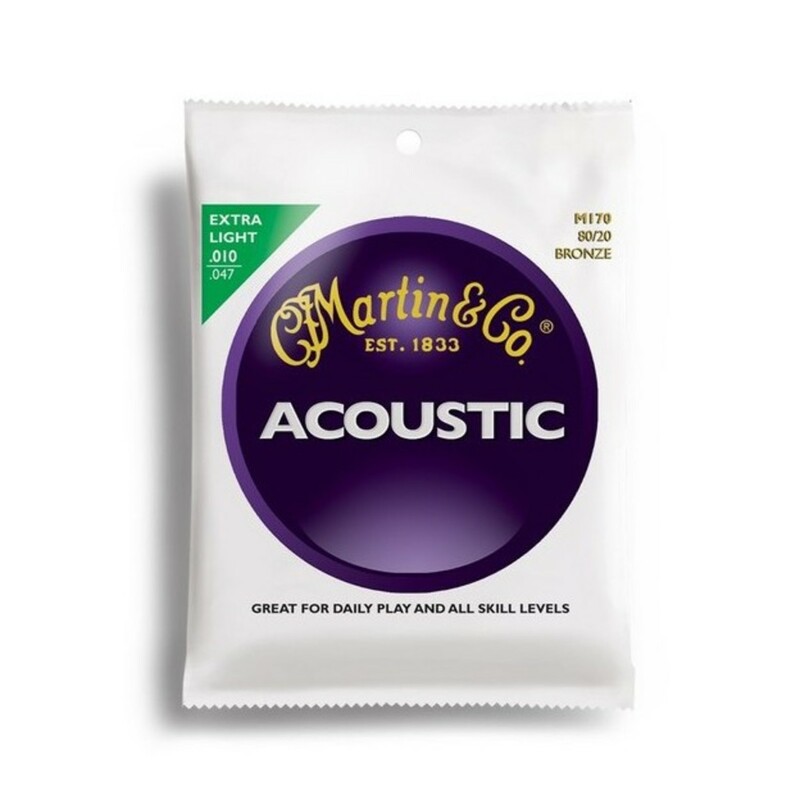 The Martin Bronze Acoustic Strings consist of 80% copper and 20% zinc, which is a popular combination as they provide a bright and brilliant tone when they are initially put on the guitar. yet they mellow over time.